Miami Heat big man Bam Adebayo is holding his Bam’s Youth Basketball Clinic this weekend, and it seems he’s doing quite a bit more than just teaching. 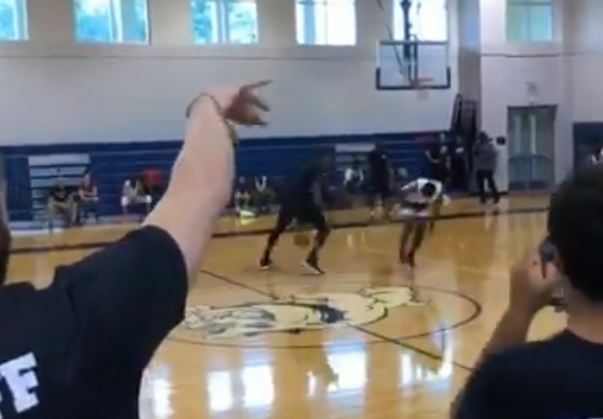 In a video that Adebayo himself shared on Twitter, the second-year pro broke a camper’s ankles with a nasty crossover. He wasn’t done putting on a show, either. Moments later, Adebayo drained a deep shot that certainly seemed like it was from three-point range. Adebayo has treated his first full NBA offseason like a true veteran, putting in the work necessary to improve his game. While it seems unlikely that crossover dribbles and deep jumpers will become a part of his consistent repertoire in his second NBA season, it is fun to see that he has the ability to pull both off. With another day left before the conclusion of Adebayo’s youth camp, perhaps the talented youngster will produce more highlight-worthy moments to get Heat fans even more excited for the 2018-19 season.